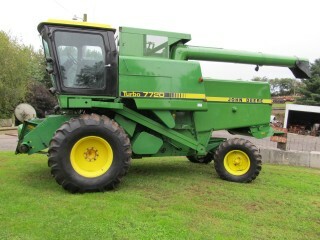 Harvesting machinery is imperative to the agricultural industry. 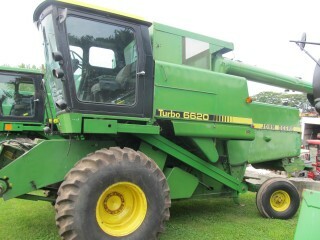 This type of machinery makes the job of harvesting crops fast, efficient, and cost effective. The design and function of harvesters will vary depending upon the type of crop or forage. The different types of harvesters include Binder, Combine, Corn Harvester, Cotton Harvester, Header, Reaper, Thresher, and Windrower. A binder machine is utilized for cutting grain and binding it into bundles. It was once broadly used to cut small grain such as wheat. 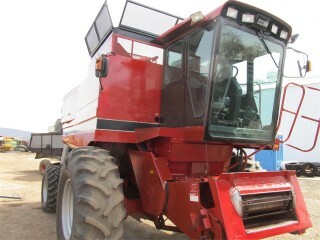 A machine that is designed for harvesting corn grain and preparing it for storage. These type of harvesters strip the entire plant of both open and unopened bolls along with the leaves and stems. Unwanted material is then removed by different devices at the gin. Strippers are most effective after frost has killed the green vegetative growth. 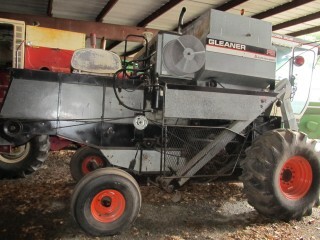 Picker machines are often referred to as spindle-type harvesters. This type of machine removes the cotton from open bolls and leaves the bur on the plant. Rotating on their axes at a high speed, the spindles are attached to a drum that also turns, allowing the spindles to enter the plant. The cotton fibre is then wrapped around the moistened spindles and taken off by a device called the doffer, that delivers the cotton to a large basket carried above the machine. 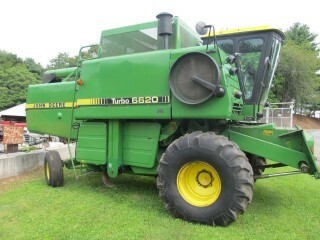 This farm machine is used for harvesting grain. A reaper is any farm machine that cuts grain. 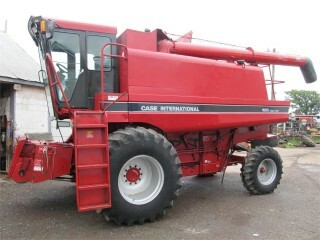 Modern versions of this machine will include harvesters, combines, and binders, which also perform other harvesting operations. Thresher is a farm machine which separates wheat, peas, soybeans, and other small grain and seed crops from their chaff and straw. A windrower is a self-propelled or tractor-drawn farm machine used for cutting grain and laying the stalks in windrows for later threshing and cleaning. 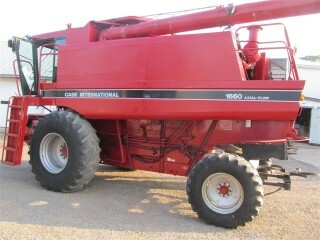 This machine is typically comprised of a cutter bar driven by an engine or powered by a shaft from a tractor, a reel to sweep the grain onto a platform, and a canvas conveyor to carry it to one side and deposit it in a windrow for drying. Due to grain that is cut by windrowers drying to a moisture content suitable for threshing, harvesting may be done a week to 10 days earlier than by combine, which diminishes grain loss significantly. An alternative for grain harvesting. Suited to deliver high performance and high area output, operating in low or high-yield regions. Able to respond to differing crop conditions or varieties. The first choice for harvesting grain and rapeseed. Can operate in low or high-yield regions. Ensures optimal crop flow at all times, resulting in an increase in total machine performance of up to 10%. Cuts the pods that legumes such as soybeans, peas and lentils grow in, as close to the ground as possible at harvest time. Designed to harvest in low-yield regions. Can adapt to changing crop growth levels and different ground speeds. Offers excellent visibility and outstanding transport characteristics. Enables transfers from field to field with little to no interruption. Right maize pickers for harvesting grain maize or corn cob mix. The maize pickers can do away with the need for removal and refitting when moving from one field to the next or during road transport. The conspeed linear can be converted for sunflower harvesting. 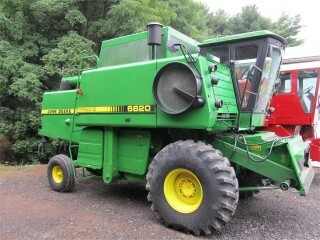 Used for sunflower harvesting. Reduces the degree of cleaning required to remove non-grain constituents. Enables pick-up of nearly all windrowed crops, such as rice, rapeseed and grass seed. Devoting time to preventing damage can keep all components of a job in proper working order; as harvest season emerges for hay and forage farmers, these preventive care tips can provide enhanced use of time in the field.